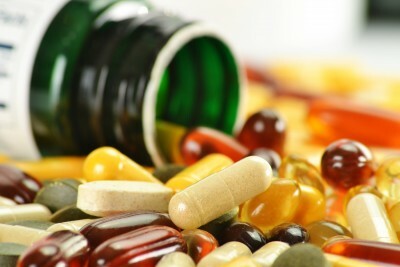 It is often questioned whether vitamin and mineral supplements are necessary for adults. Despite the body not growing any further, it still has nutritional demands that needs to be maintained for its ongoing development, repair and for overall wellness. For younger adults eating a balanced diet, vitamin and mineral supplements are often not necessary. These micronutrients can easily be sourced from everyday foods. However, as one gets older, there may be a need to consider supplements to ensure adequate nutrient intake. Deficiencies are not age specific in many instances but the various lifestyle and dietary factors that are more likely in certain age groups are one of the reasons that the elderly may be a greater risk of a deficiency. All vitamins and minerals can be sourced from a balanced diet. A combination of the different food groups as indicated in the food pyramid ensures that a person will get the nutrients they need. Deficiencies tend to arise in people with eating disorders, picky eaters, vegetarians, those with poor eating habits and in chronic diseases where the appetite, digestion and absorption of nutrients is impaired. Certain stages in life and physiological changes may also require a greater intake of certain nutrients, like during pregnancy, but even here a healthy and balanced diet will suffice. Food is often a better source for one’s nutritional needs. Vitamins and minerals in foods are present in biologically available forms that are easier to absorb and utilize. Cooking, processing and preserving foods do compromise some of its nutritional benefit but a person who is eating a balanced diet on a daily basis is not necessarily at risk of experiencing nutritional deficiencies. Age related loss of appetite. Disability that affects proper sourcing, preparing and consumption of food. Medication that alters the appetite and affects the digestion, absorption and storage of some nutrients. Chronic diseases that reduces the appetite and the acquisition and processing of nutrients. Impairment of mental faculties in making the correct choices about good nutrition. Mouth, teeth and jaw problems that affect eating. Many of these factors are also the reasons why the elderly are more likely to experience malnutrition in general and loss of body weight. Supplementation may just be the better choice in preventing deficiencies before it arises since the elderly are more prone to it. Several studies have indicated that seniors who take supplements on a daily basis are less likely to experience certain health issues and have a better quality of life than those who do not use supplements. However, there is often various factors at play and it may extend well beyond just the use of vitamin and mineral supplements. Multivitamins are often the preferred choice as it delivers all or most of the vitamin and minerals that are needed by the human body in one convenient dose. However, this may not mean that multivitamins are the better option overall. Many of these supplements have very small dosages of each vitamin and mineral which may not be sufficient to treat nutritional deficiencies. It is however a convenient option for a person who does not have any deficiency and wants to prevent a deficiency from arising. Multivitamins are widely available and often affordable when compared to the collective cost of individual vitamins and minerals. Specific brands are more a matter of preference these days than the superiority of one product over another. Individual vitamins and minerals are often the better choice for a person with nutritional deficiencies. The specific vitamin or mineral can be delivered in the dosage that is most suitable for treating the deficiency. Blood tests are able to verify the presence and severity of a deficiency. Using a host of individual vitamins and minerals on a daily basis as a preventative measure against a deficiency is both cumbersome, costly and can be dangerous. Therefore individual vitamins and minerals should be reserved for deficiencies or situations where a specific deficiency may arise.